The Chinese government shut down a Tibetan organization promoting unity and spirituality, sparking another wave of protests. A Tibetan organization that promotes unity among ethnic Tibetans in western China's Sichuan Province was shut down last week, prompting a two-day clash between police and thousands of Tibetans, according to Tibetan news reports Monday. The Tibet Express news portal quoted monk Thupten Choephel in India as saying the Dayul United Association was shut down April 14 due to ''political issues'' and about 250 Tibetans connected to the group were detained. The news portal, based in northern India's Dharamsala, seat of the Tibetan government in exile, said Tibetans angered with the mass detention clashed with police and were beaten indiscriminately. Another protest demanding the release of the detainees was joined by more than 2,000 Tibetans the next day. The same source told U.S.-based Radio Free Asia that all but 33 detained Tibetans were released, while 19 people were injured in the clashes. Also, Tibetan singer Lolo, in Qinghai Province, was arrested Thursday for performing ''political songs,'' the RFA quoted another monk in India as saying. 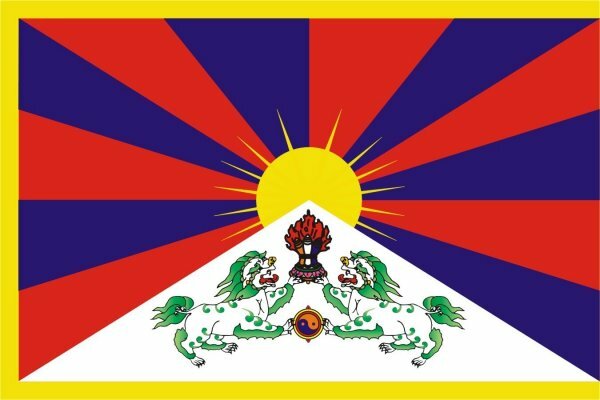 The RFA said the 29-year-old singer, with his newly released album ''Children of the snowy region, raise your Tibetan flags,'' calls for Tibetans to protect their ethnicity and raise the Snow Lion flag -- a Tibetan flag banned by Beijing -- for the return of the Dalai Lama to Tibet. The Dalai Lama, the spiritual leader revered by Tibetans, has been vilified by Beijing as a separatist masterminding splitting the Tibetan region from the Chinese mainland, while he has maintained that what he wants is autonomy, not independence from Beijing. More than 30 Tibetans have protested Chinese rule by self-immolation since 2009 and 25 of them have died, according to Tibetan concern groups. Beijing has branded the suicides acts of terrorism and blamed the Dalai Lama for endorsing the practice.